Big and Rish talk about collecting, and we finally get to hear about Rish’s trip to Comic-Con. 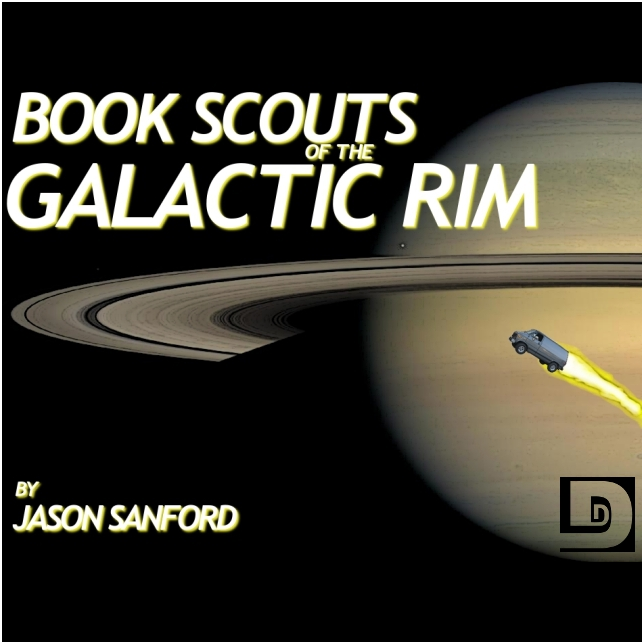 This entry was posted on September 1, 2009 at 9:58 pm and is filed under Drama, Jason Sanford, Science Fiction, Short Story. You can follow any responses to this entry through the RSS 2.0 feed. You can skip to the end and leave a response. Pinging is currently not allowed. I felt the story bogged down in places but was overall very good. I would’ve liked to know more about the glitter-glue man — I think a payoff is somehow necessary other than “he’s just a weird dude with glitter-glue on his eyes”. Haven’t heard the commentary yet; ran out of time on the way to work. That was a lovely story! I agree with Josh that it was weakened by vague villain syndrome (what was he? I kept hoping to find out). But I felt the same way about Neil Gaiman’s Graveyard Book, and yet the story was still magical (and I’d still buy a collector’s edition of TGYB). The action figures – lol. I did the same thing with My Little Ponies for a year or two. It was so much fun to handle some of the ones I always wanted to see and couldn’t have afforded to buy. My, that really brings back memories. Beautiful story. Had me crying at the end. Still catching up on the backlogs, but this was my favorite story so far. Well written. Great reading. Bravo! On a side note, I must comment on the sad piano music in the banter. Its been causing me to bust out laughing in public places every time it comes up. I received several concerned looks today. Just thought you should know. Big, you are so right. I was thinking “Craphound” very early on. And then when the list of books was getting longer and longer, I was pleased to hear mention of the half I have read, and dismayed at hearing the ones I’ve yet to read. I’ve only been “into” scifi for about 4 years, but I am a voracious reader and I’ve made a serious dent into what are considered foundational pieces. I use this site: http://home.austarnet.com.au/petersykes/topscifi/lists_books_rank1.html and I’m going through them. It’s been inspiring. I consume podcasts of speculative short fiction as well, and not working during the summer gave me ample time to dry up every podcast well I have. I think reading and listening to stories makes me a better writer. Thanks for that list, Liz! I’m bookmarking it. I think of myself as sci-fi-stupid, but I had read 14 of those, so that’s something. A lot of them were on my to-read list. Yeah, nice list. I’ve only read 9 of them! If movies counted it would be more. :-) Been on more of a fantasy kick, I guess. Abbie – Sorry, I didn’t mean to make it sound like your podcast was dead or something. Would it be more appropriate to say that major content was over for a while, but in the interim you keep the coals warm with feedback episodes and story contest material? I am particularly insightful and intelligent though, you got that right. Don – You have no idea how much a comment like yours really helps keep the two of us going. Bryan – Your comment keeps us going nearly as much as Don’s. It’s good to know that people other than ourselves find the goofy stuff that we do funny. Liz – Thanks for the list. As we mentioned in the show, I really feel like I need to read the foundational (although I have read Asimov’s Foundation) works of Science Fiction. I should have read a lot more of the books on that list than I have. But it’s cool to have a list to look at, highlight, and gauge my progress. And they have a second list of 100 books on that site too. I’ve got a lot of work to do. I can say that I’ve read 19 of the books on that list. But within a year I will hopefully have read (or listened to, can you call that read?) half of them. We’ll see how it goes. I don’t want to get too far behind on my podcasts. I liked the story too. I think I would like to see the glitter-eye guy in other stories, maybe each giving us more of a glimpse to his true reason and purpose. Anyway, I found the story entertaining, and isn’t that what it’s all about? Wow, this story gave me chills! I don’t mind that the wiry man was left undefined. Was he just a weirdo? An alien? Who knows! But I’m having fun thinking about the possibilities. Great reading. I got a little misty-eyed on this one.